Your team has prepared as much as possible for the coming conflicts. Your blasters are loaded, your speeches prepared, your minds quiet; all you wait for now is the signal to begin your heist, your trial, your rebellion. 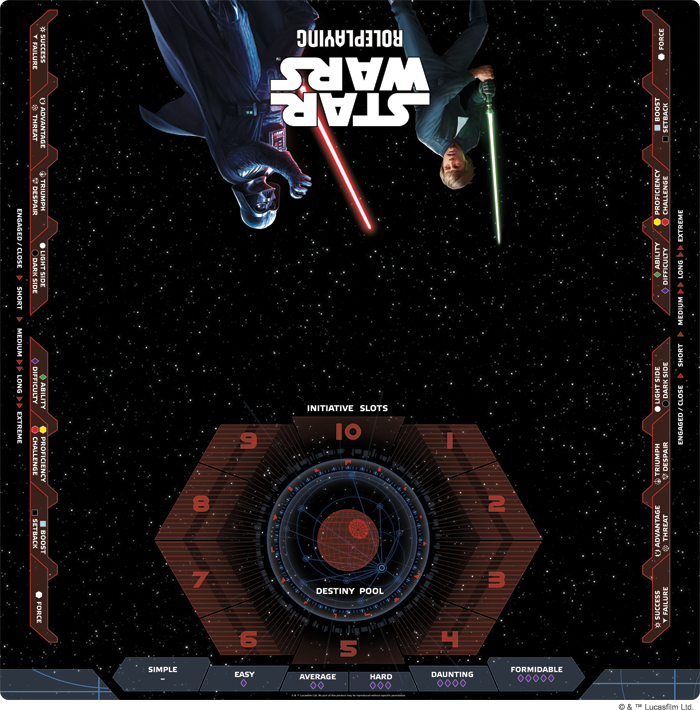 And now, you can be even more prepared to face the unmentionable odds your favorite iconic characters from the Star Wars™ galaxy have battled for generations with the Star Wars Roleplaying Gamemat™, new from Fantasy Flight Games! This 26” x 26” natural rubber gamemat is the perfect surface upon which to tackle any obstacles the galaxy (or your gamemaster) might throw at you, whether you're plundering ancient riches in Edge of the Empire™, striking at a critical Imperial target in Age of Rebellion™, or constructing your very first lightsaber in Force and Destiny™. Not only does its natural rubber provide a pliable and durable surface perfect for rolling your skill tests upon, the gamemat is lined with all manner of helpful keys and graphics to enable quick and easy dice pool reading so that the game can continue flowing quickly and organically to its destiny. Two of the gamemat’s sides are lined with a dice key so that you can quickly assemble dice pools using accurate in-game terminology and easily interpret the results of your rolls to keep the game moving. The helpful range band reference will keep your maneuvers in check as you advance upon your foe. Along the GM’s edge of the mat, players will find a helpful stylized initiative tracker that will keep their heads in the game as they plan their next action and enable them to prioritize lethal targets who may be acting sooner than the group would like. Additionally, there is a handy key for dice pool difficulty, allowing all players to easily assemble the dice for a Daunting Computers check, and quickly see what the available Destiny pool looks like in case they need that little extra push to succeed. 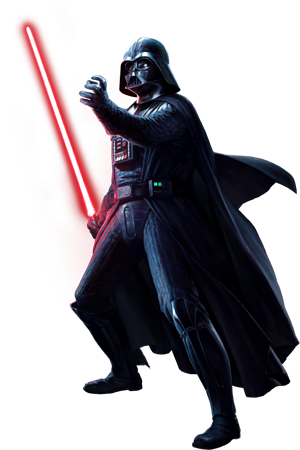 Players will also find the iconic art of Luke Skywalker and Darth Vader, drawing them into the narratives that their characters will be building over the course of their enthralling campaigns. The star field backdrop also keeps players firmly grounded in the vibrant and dangerous Star Wars galaxy. You’ve assembled your team, you’ve been briefed on your mission. All that’s left is to pick up those dice and trust in the Force. Bring your Star Wars Roleplaying to the next level with the Star Wars Roleplaying Gamemat, now available from Fantasy Flight Games’ in-house manufacturing!